Resource is excited to announce the launch of one of our newest brand identity projects for Hines. 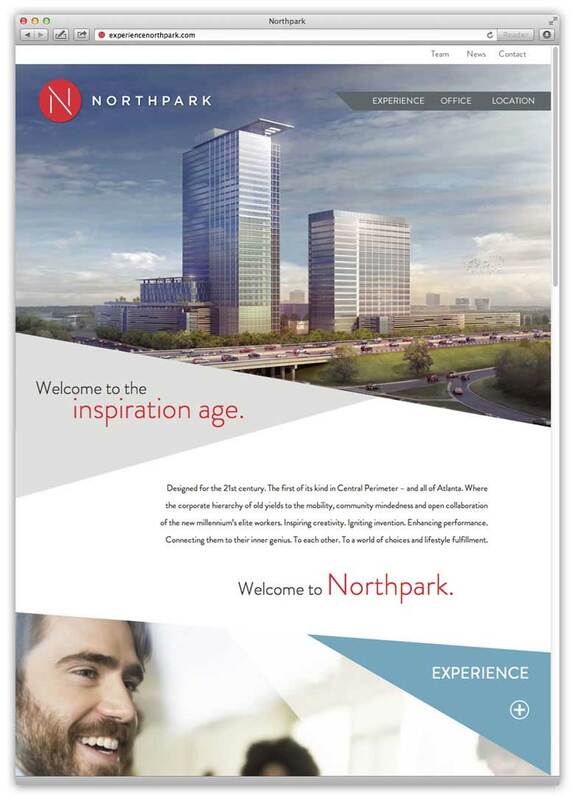 Northpark was designed with the future of the workplace in mind – clean, modern lines with plenty of open space is both the theme of the project branding as well as the vision for this vibrant, thoughtfully-planned development in Central Perimeter that will bring a new kind of office environment to the market. See below for a glimpse at how the brand came to life – you can also experience the full vision for the project at experiencenorthpark.com.